After completing a first Test series win in Sri Lanka in 17 years, England will look to build on their progress and begin 2019 with victory in the Caribbean. This will be the 14th time England have toured the West Indies, and for many years the hosts had the upper hand. 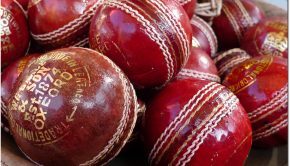 However, most of their series victories came during the 1970s and 1980s, when their legion of fearsome fast bowlers featured the likes of Andy Roberts, Joel Garner, Michael Holding, Colin Croft and Malcolm Marshall. But from 1995, the wheel of dominance shifted more towards England. The main reason for this is that the West Indies have struggled to find a group of players who could possibly come close to replicating the success of those past teams. Other than Brian Lara and Shivnarine Chanderpaul, there hasn’t been any batsman or bowler who has really made a name for themselves in all three formats, but especially in Test cricket which is still regarded as the pinnacle, despite the rise of Twenty20. 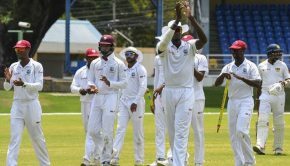 The West Indies cause also hasn’t been helped by a drift away from cricket among young people in the Caribbean, plus numerous instances of squabbling and strife between the players and their board in recent years. England’s last Test series in the Caribbean was in April/May 2015 when the sides shared The Wisden Trophy with a 1-1 drawn series. Denesh Ramdin and Alistair Cook were the respective captains. The captain of both the West Indies Test and one-day teams, the Jamaican all-rounder will lead out his side for the 28th time. Under Holder, the hosts have won just seven out of their last 27 Tests. This includes 15 defeats and five draws. Holder replaced wicketkeeper Denesh Ramdin as Test skipper in 2015, and his first series in charge was in Sri Lanka in Sri Lanka, where the West Indies lost both games in a two-match series. The West Indies are currently a lowly eighth in the Test rankings, ahead of only Bangladesh and Zimbabwe. However, there were signs for renewed optimism during their tour of England in 2017, when Holder and his side managed to achieve a dramatic five-wicket victory in the second Test at Headingley, with Barbadian Shai Hope scoring a century in both innings. Holder, 27, also took over the captaincy of the ODI team from Dwayne Bravo after the Trinidadian was sacked as after six games due to a poor run of results. The England Test skipper had a 2018 remember. After being mauled in Australia and New Zealand, Root and England came back with a bang by winning the second Test against Pakistan followed by a 4-1 home series win last summer against top-ranked Test side India. Root also guided England to their first-ever Test series victory in Sri Lanka last autumn. Can he lead his side to back-to-back series victories away from home in the Caribbean? Since the 2016 T20 World Cup in India, Carlos Brathwaite has made a name for himself in West Indian cricket. Brathwaite who helped his team cross the finishing line in the World T20 final was named captain after Darren Sammy’s departure in 2016. The Jamaican all-rounder began his International captaincy career in a two-match T20 series against India in Florida, 2016 where his side took a 1-0 series victory following a washout in the second game. The upcoming series against England could prove to be a tough nut to crack, can Brathwaite and the West Indies provide a steep test for England? Middlesex’s Eoin Morgan will be in charge of England’s limited overs series in the West Indies. 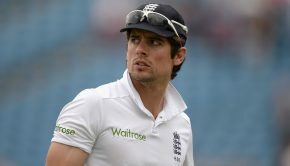 Morgan took over the role following Alistair Cook’s withdrawal from captaincy in the one-day format in 2014. He led England to the 2015 World Cup, where they were stunned by Bangladesh in a 15-run loss in a Pool A match which ultimately knocked them out of the tournament. The stylish left-handed batsman also led England to the final of the 2016 ICC T20 World Cup in India, where they lost to the West Indies courtesy of Brathwaite’s four sixes in the penultimate over. 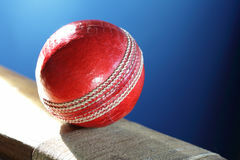 England form in white ball cricket has been quite impressive in the past two seasons, with series wins against New Zealand, Australia, India and Sri Lanka. Can Morgan lead his team to another successful one-day series? Warwickshire’s right-arm paceman Olly Stone, 25, made his ODI debut in Sri Lanka last autumn, but a rain-affected series meant he was only able to show glimpses of his talent. As far as his performances in county cricket go, Stone picked up an eight-wicket hall in the first innings of a match against Sussex in April 2018.